WASHINGTON — The Humane Rescue Alliance is offering a $500 reward for the safe return of a stolen dog. 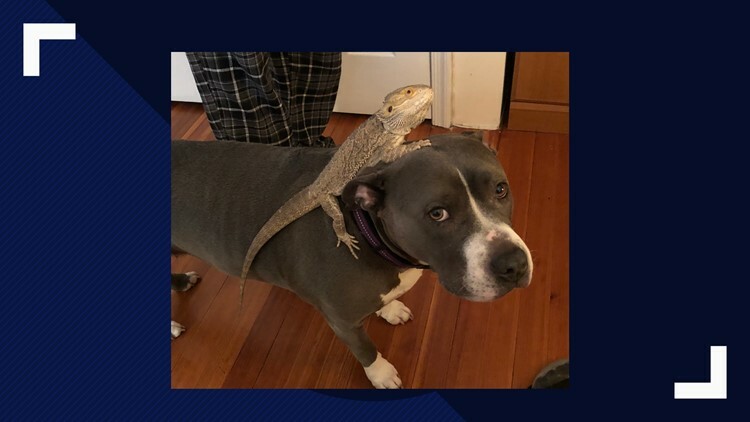 The HRA says the 9-year-old gray and white bull terrier mix was last seen around 5:45 p.m. Tuesday in the 1200 block of Decatur Street in Northwest, D.C.
Surveillance footage released on Saturday shows two people walking a dog that appears to be the bull terrier mix. 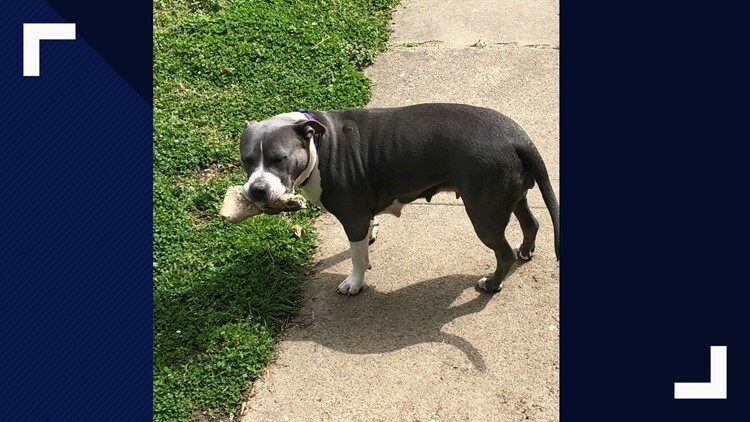 “We’re hopeful our reward will help reunite this family who has been besides themselves after the theft of their senior dog,” said Chris Schindler, Vice President of Field Services at HRA. HRA is asking anyone who has the dog to either bring her to the Humane Rescue Alliance at 1201 New York Ave in Northeast or call them to pick her up at 202-576-6664, option 1. Anyone who sees the dog should also contact them.